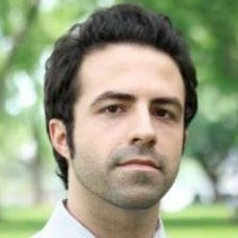 Mohammad Ghassemi is a PhD student in Electrical and Computer Engineering at the Massachusetts Institute of Technology with a research interest in statistical signal processing and medical informatics. In 2010, Mohammad received the Gates-Cambridge Scholarship to fund his MPhil at the University of Cambridge in Information Engineering. He was also awarded the Goldwater scholarship while pursuing two undergraduate degrees in Electrical Engineering and Applied Mathematics. He holds two patents, and has several years of experience working in both research and industrial settings in North America, the Middle East and Europe. Mohammad’s prior research experience spans machine learning, signal processing and neuroscience.